Regional Identity is used in this scene to portray the slow and relaxed stereotype of country life. 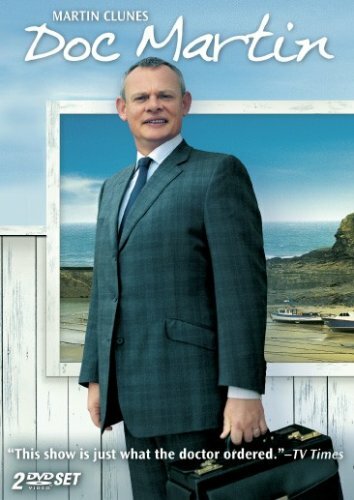 This is presented to the audience through the use of a long held wide shot that connotes slow and relaxed lifestyle of countryside Britain in contrast to Doc Martins constant movement showing the busy and laborious lifestyle of city life. The limited use of non diegetic sound in this long held shot shows the slow life of country Britain, the diegetic sound in this scene is unproductive and the large worker speaks in a nonsensical manor showing the typical uneducated countryside Brit. As the scene progresses the amount of editing increases showing stressful and fast paced "action" as the water pipe breaks. 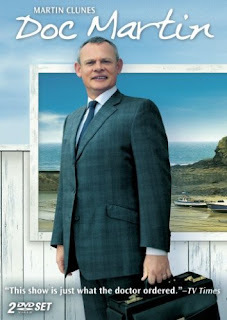 The audience are focused on Doc Martin to show his erratic actions. the non diegetic sound of the music increases in erratic nature up until the climax of the barking dog. This shows the volatile idiosyncratic nature of city life from a countryside perspective contrasting the tranquil nature of rural life. This hectic environment is only increased through the diegetic addition of a franticly ringing telephone, this telephone is shown to be be old and outdated further enforcing the stereotype of a antiquated rural Britain. Doc is always in control of the scene portrayed through the eyeline camera angles showing his dominance over the situation as an educated city outsider.